The ruins of the Orthodox Church of the Ascension and the former Orthodox schoolhouse, now Kuri community center, are located along the highway that heads from Hellamaa to Suursadam. The granite church was built during the years 1888-1891. 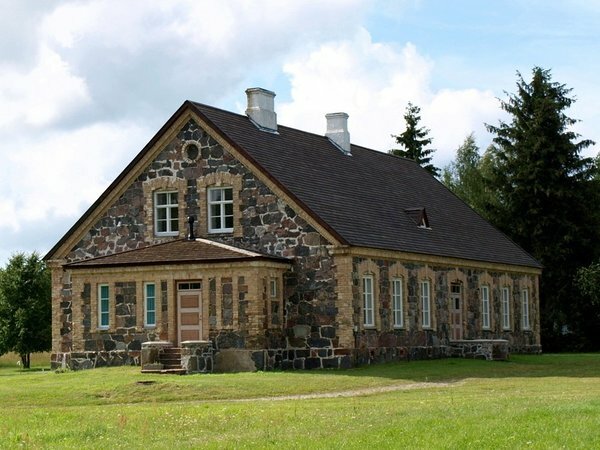 Together with the sanctuary, an Orthodox schoolhouse and a house for the priest were built in Kuri village. At that time, schools that were established by the Russian tsarist government, which were also attended by non-Orthodox children, made an essential contribution to the education of the populace. These schools evolved eventually into four-year (four-class) parish schools. Classes were taught by parish clerks, who also assisted the priest in the services. As late as 1999, Kuri elementary school was still operating in the former Orthodox schoolhouse. The building’s original beauty has been restored by the fine women of Pühalepa Women’s Society. The congregation maintained liturgically active in the church until the middle of the 20th century.